I found this quick and easy Hollandaise Sauce recipe from “Magic Bullet Blog” where they were making Eggs Benedict. I only eating fish so I swapped the Canadian Bacon for fresh Salmon. I scrambled the whites (no waste) and added spinach for a great twist on an old favorite, Eggs Benedict. 6. 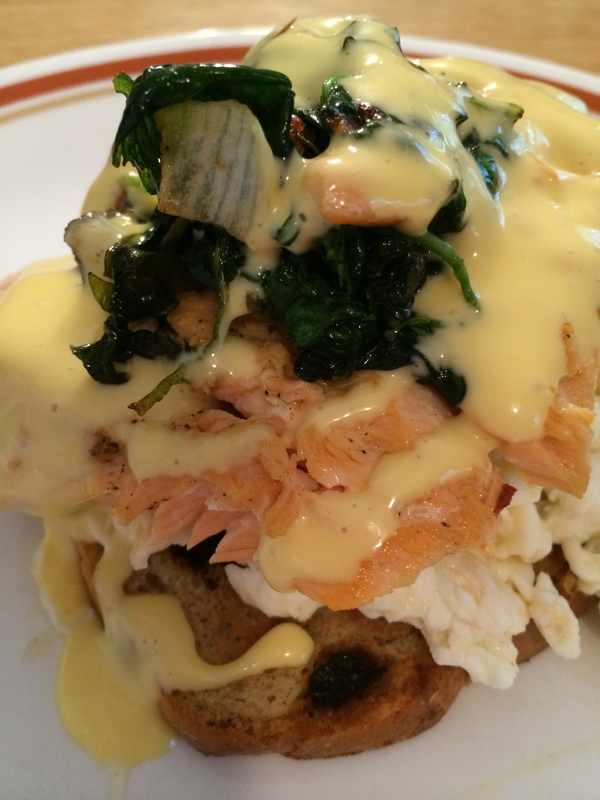 Toast muffin, add cooked salmon, spinach ,egg whites and top with sauce.